Employees’ Provident Fund (EPF) requires mandatory contribution from every employee towards his or her retirement savings. Companies employing more than 20 people have to compulsorily make contributions towards the EPF. So basically, both the employee and the employer make equal contributions towards the EPF kitty. The employee as well as the employer contribute 12 per cent each towards the EPF. Out of the 12 per cent that is paid by the employer, 8.33 per cent is invested in Employee’s Pension Scheme (EPS) while the remaining 3.67 per cent is invested in the EPF. Every employee must keep checking the balance deposited every month in his or her EPF account, say financial experts. Employees’ Provident Fund Organisation (EPFO), the nodal body of EPF, allows subscribers to check EPF balance in simple ways. Go to the EPFO website, epfindia.gov.in. Click on e-Passbook towards the right. You will be asked to input details such as UAN number and password. UAN stands for Universal Account Number which is allotted by EPFO. The UAN acts as an umbrella for multiple member IDs allotted to an individual by different establishments. Click on member-id to view the e-passbook and know your EPF balance. After selecting the member id you can view the e-passbook and know your EPF balance. 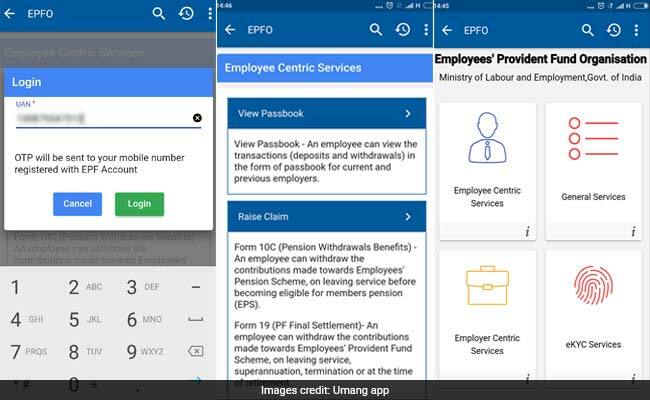 Open mobile app UMANG and click on the “EPFO” option. 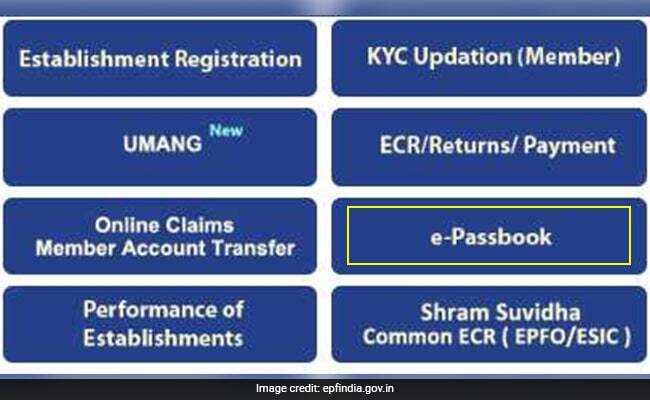 You will be directed to a page which shows employee-centric services, general services, employer-centric services, e-KYC services, and Jeevan Praman. Click on “employee centric services”, which will lead you to a page that lets you view the passbook and raise and track claim. Click on “view passbook” and input your UAN. Log in and type out the one time password (OTP) that will come on your registered mobile number. After this, you will be able to see your EPF balance. Members whose UAN is activated may know their latest PF contribution and balance by sending an SMS to the number: 7738299899. The message must be sent from their registered mobile number. The member has to type “EPFOHO UAN” and send to 7738299899. The facility is available in 10 languages viz. English (default), Hindi, Punjabi, Gujarati, Marathi, Kannada, Telugu, Tamil, Malayalam and Bengali. For receiving SMS in any of the languages other than English, the first three characters of the preferred language need to be added after UAN. For example, to receive the SMS in Hindi, you should send it as follows: “EPFOHO UAN HIN” to 7738299899. Subscribers registered on the UAN portal can dial 011-22901406 from their registered mobile number. In order to avail this facility, your mobile number must be activated with UAN at the official website of EPFO. 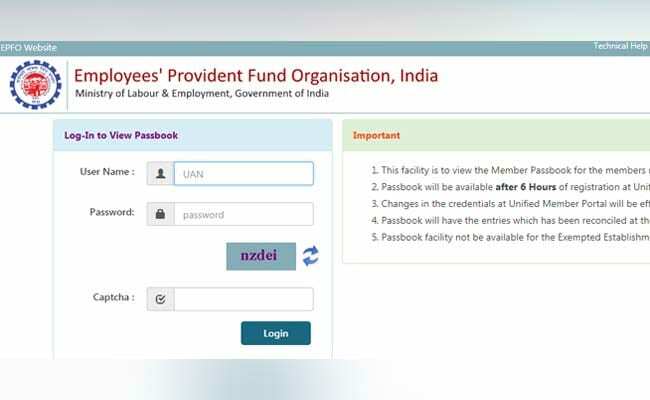 Earlier, allowed its members to withdraw up to 75 percent of their EPF (Employees’ Provident Fund) account balance in case of unemployment of members for over one month. Next story How to pay LIC Premium on Paytm?